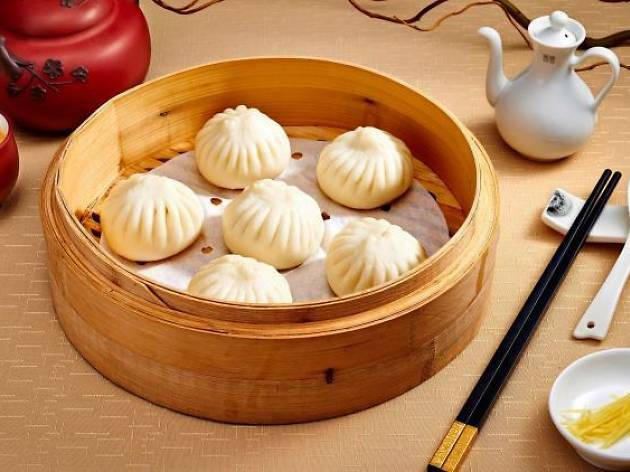 9Goubuli believes that it’s the first establishment outside China to offer the renowned Goubuli buns of Tianjin. First created in 1858, the buns with 18 folds are filled with pork ($2.20/piece), vegetables ($1.90/piece), or a mix of both ($2.60/piece). Or go for Goubuli buns with wagyu and vegetable filling ($3.50/piece) for an upmarket bite. 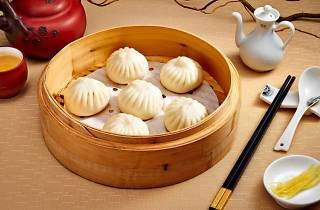 Besides the buns, 9Goubuli offers a menu of Cantonese dishes created by executive chef Koo Kwok Fai, including stir-fried egg whites and scallop with truffle oil ($28/small, $42/large) and Nanjing-style chilled salted duck ($10).